Students who have discovered their focus later or hit some academic bumps in their careers have a new opportunity to enhance their experiences, grade point averages and approach to advanced medical degrees through a reconceived three-semester master of arts in biology. Prospective students will have recently completed their bachelor’s degree and are interested in pursuing medical, dental, nursing, pharmacy or veterinary school. 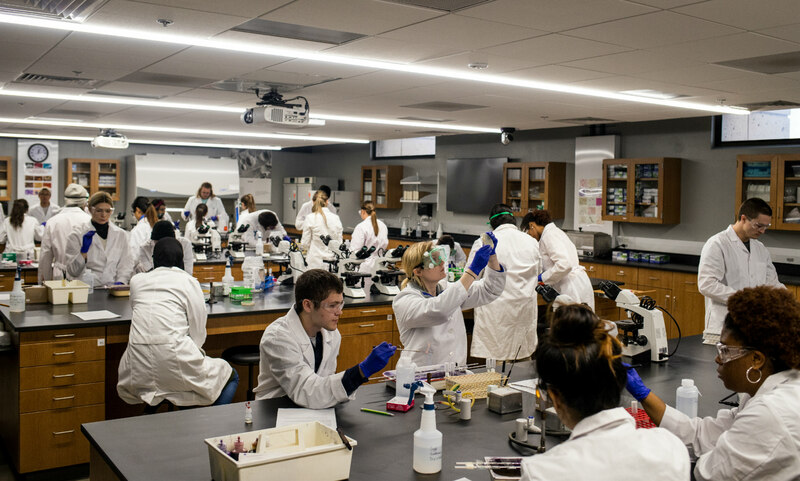 “We are offering an opportunity for students who may have had a rocky semester that affected their GPA — or have been challenged by the MCAT or DAT — to continue their course work while they are retaking tests or submitting applications,” said Karen Bame, graduate programs officer and director of the MA Biology program. While UMKC has offered a Master of Arts biology degree in the past, the coursework was different. Now students will be in the same classroom as professional students rather than with Ph.D. students who are more research focused. This first year the department will accept 5-10 students; in the future there will be room for 30 or more. The program is designed for students like Marriam Hassan who want to recalibrate their educational path. “I was a late bloomer, but my senior year I began to excel in my science courses. I needed a program to take those new skills and perfect them. Dr. Bame mentioned the new MA biology degree, but I couldn’t wait,” said Hassan, who is now pursuing a master of science in cellular and molecular biology. “Some students are late bloomers and sometimes students face personal challenges that can affect their success for a semester or a year,” said Margaret Kincaid, associate professor, who will assist Bame on administration and getting feedback from students on the structure of the program. Kincaid enjoys working with students on this sometimes indirect path. Questions about the new MA Biology program, or how to apply can be directed to Karen Bame, (bamek@umkc.edu). The deadline for application is April 1, 2019.